Cipriana Park is the newest addition to the Grande Dunes homes portfolio. This 67 acre Myrtle Beach new homes community is located east of Bypass 17 just off Grande Dunes Boulevard in Myrtle Beach, and will consist of 182 single family homes. Cipriana Park will provide the elegance and luxury of the Grande Dunes community with a more affordable single family home option. The meticulous craftsmanship and upscale design speak to you as soon as you enter one of the beautiful new homes in Cipriana Park. As you walk through the foyer and experience the expansive open floor plan with 12 foot coffered ceilings along with engineered flooring and granite countertops, the attention to detail is obvious. Five unique home plans are offered at Cipriana Park ranging in size from 1550 square feet to just under 2000 square feet with individual customization available to truly make the home matched to your own taste and style. There are numerous options available including screened porches and sunrooms for enhancing the outdoor lifestyle of Coastal Carolina. You may also add more bedrooms and bathrooms, alter the look of the exterior, choose from different roof designs and so much more. Cipriana Park is quite possibly the absolute best home value in the entire Grand Strand region, with the amazing upscale standard features, including all brick construction and several options for architectural styling, as well as access to the amenities of the Grand Dunes community. When you see what you get for your money at Cipriana Park it is no wonder that this exciting new neighborhood is the best-selling community in Grande Dunes. 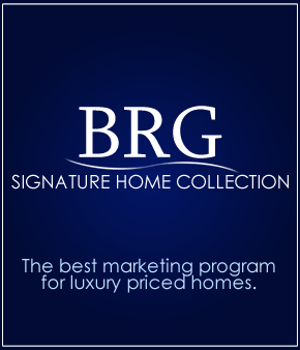 For additional information about new or resale Cipriana Park Homes for sale or selling a home in Cipriana Park contact Beach Realty Group today! 843-424-6900 or email us. Also check out Siena Park in Grande Dunes and Living Dunes which offer similar price points.